A group comprised of members of Carnegie Mellon University, The Robotics Institute, and the Advanced Robotics lab at IIT, have been kicking around a full size million dollar humanoid robot. Don’t worry, this robot is fully equipped to brace itself for the fall, much in the same way a human would. Upon having a force acting upon the robot, leading it into what would be a catastrophic fall, it will hold out its hands to brace itself against a wall. It even accurately pushes itself back into proper standing position! Check out the video. 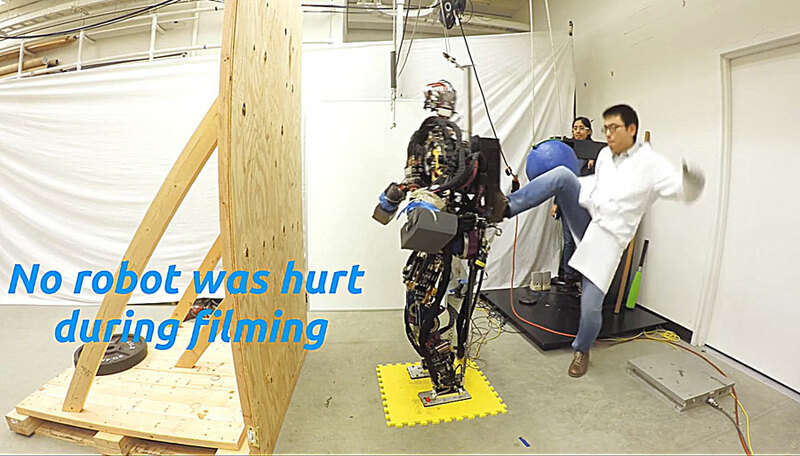 It’s impressive work, but you might feel bad for the robot.